Forget the stage-show stereotypes. Hypnosis has helped people cut back on pain, anxiety, and depression medications, resolve intestinal problems, quit smoking, even have less stressful childbirth. There's no pocket watch involved. Hypnosis is simply a state of concentration and focused attention -- focused on a mental image. It's a skill that must be learned from a trained therapist. With practice, hypnotizing yourself comes easily. Self-hypnosis is the path to training both mind and body to make a desired change. "People who are able to do self-hypnosis can use that focus for a variety of purposes," Stan Chapman, PhD, a psychologist in the Center for Pain Medicine at Emory Healthcare in Atlanta, tells WebMD. "For example, someone who is very depressed may realize on one level that life is not hopeless and pointless. But if he focuses on a thought contrary to that, the idea becomes deeply embedded in his subconscious." Here's what happens: Guided by a therapist's words, you slip deeper and deeper into a very relaxed, very focused state -- into your subconscious. That's when a suggestion, a thought that will help you solve a problem, is introduced by the therapist. When the mind is intensely focused, these so-called post-hypnotic suggestions have a powerful impact, Chapman says. Don't worry, you won't lose consciousness. You won't do anything against your will. Afterward, you are very much aware of what happened while you were "under." You will recognize and remember the post-hypnotic suggestion. And, with practice, you can learn to hypnotize yourself to reinforce the suggestion. Marc Oster, PsyD, a Chicago psychologist, relies on self-hypnosis when he gets dental work done. "I get Novocain just like other patients, but I don't need as much of it because I'm under hypnosis. Afterward, I can go back to work for a full day. When the Novocain wears off, I don't have the pain, the jaw ache, or the headache that other people have," he told WebMD, in a previous interview. No one knows exactly how hypnosis works, but scientists have theories. Hypnosis helps change our expectations. When a suggestion is made during hypnosis, the mind gains control over the body. Focus your attention on an image that blocks the perception of pain, for instance, and you feel less pain. Your subconscious has grabbed hold of that message, replaying it time and again. Research from Harvard Medical School and other institutions is showing evidence that hypnosis is indeed a process of mind over body. Studies are documenting the physiological changes that occur under hypnosis -- activating certain parts of the brain, including the portion that focuses attention. In fact, studies have shown pain related to cancer, surgery, back injuries, and migraines may respond well to hypnosis. Hypnosis has been blessed by many mainstream medical institutions, says Oster, who heads the American Society of Clinical Hypnosis. In 1958, the American Medical Association officially recognized hypnosis as a form of treatment. The American Psychological Association has endorsed hypnosis for a number of years. In 1995, the NIH announced its support of hypnosis for cancer pain and other pain conditions. Growing numbers of insurance companies, including Medicare, have begun covering hypnosis therapy for pain or Post Traumatic Stress Disorder (PTSD). Digestive Problems: Chronic indigestion and other symptoms of irritable bowel syndrome (IBS) have been treated with hypnotherapy. Recently, a large, long-term study showed that hypnosis provides sustained improvements in significant numbers of IBS patients. Hypnosis eased abdominal pain, distention, diarrhea, constipation, and other stomach upsets for many years -- even after the patients quit doing self-hypnosis. Most of the patients took no medication or other treatments for their IBS symptoms. And, since only a couple of medications are approved for IBS, the drug treatment can be expensive long-term. But for those who tried hypnosis, the payoff was having a better quality of life. The procedure also dramatically cut medication expenses. Hypnosis can also help kids who have chronic stomach pain -- the type of pain that is real, but unexplained. The problem results in lost time at school, frequent doctor visits, as well as anxiety and depression, and can last into adult years. But through a combination approach -- relaxation, guided imagery, and hypnosis -- it's possible for kids to gain control over their pain. Panic Attacks: The onset of a panic attack has a cluster of symptoms: the feeling of intense fear, sense of doom, feelings of unreality, racing heartbeat, difficulty breathing, sweating, shaking, dizziness, nausea, fear of losing control, tingling or numbness in the hands. Hypnosis has been shown to help some people find relief from panic attacks. Hypnosis can strengthen the effect of mind over body, researchers say. It can change the way you perceive sensations. By narrowly focusing your attention, you're not overwhelmed by panic attack symptoms when they begin. You are able to relax physically. The attack fades away. Childbirth: It's known as "hypnobirthing" -- women learning how to hypnotize themselves to manage their labor. It helps them to relax and let their bodies take over. The theory is that, in the absence of fear and tension, severe pain does not have to accompany labor. In this calm state, endorphins -- naturally occurring pain-relieving chemicals -- replace the stress hormones that contribute to pain. Even women choosing more traditional methods, such as painkilling drugs, can still benefit from the stress-relieving power of hypnosis. Smoking Cessation: The American Cancer Society advocates hypnosis as one of many stop-smoking techniques -- helping some smokers stay off tobacco for six months or longer. They suggest it might be helpful for some people. For many people, hypnosis is a way to change beliefs and attitudes that stand in the way of quitting. Hypnosis might enhance confidence, promote a general sense of well-being, decrease withdrawal urges, and help people focus on the importance of quitting. Best results come when hypnosis is simply used as an aid -- combined with other stop-smoking methods, such as the nicotine patch, researchers say. SOURCES: Stan Chapman, PhD, psychologist, Center for Pain Medicine, Emory Healthcare, Atlanta. 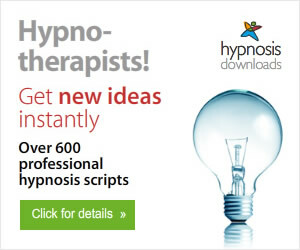 WebMD Feature: "Hypnosis Goes Mainstream." WebMD Medical News: "Hypnosis May Be Useful IBS Treatment." WebMD Medical News: "Hypnosis Soothes Indigestion." WebMD Medical News: "Researchers Target New Ways to Stop Chronic Pain." WebMD Medical News: "Hypnosis for Pain," WebMD Feature: "Natural Panic Attack Treatments." WebMD Medical News: "Hypnosis in the Delivery Room." WebMD Feature: "You Are Getting Skinny, Skinny." for more articles about the therapeutic uses of hypnosis. Bedwetting at night, or nocturnal enuresis, is very common in children under 7 and more so in boys than girls. There are medical conditions which cause it eg cystitis or diabetes, or by some children's inability to produce enough of the antidiuretic hormone, ADH, which controls the production of urine at night. However, for most, it is just a case of developing good bladder control later than others. Some drugs help to reduce the amount of urine produced during the night but that does not teach the child good bladder control and only works as long as the drug is taken. Alarms wake the child if the bed is wet but then the deed is already done! Unless there is also a regular problem with daytime wetting (apart from the odd accident), the problem is “in the mind” as are many problems. Our mind controls everything including sending a message to the bladder to contract the muscles and hold the water. Psychological stresses may also play a part, sometimes temporarily eg a death or divorce in the family, moving home or school or low self-confidence. Who decided that the child should stop wearing night-time nappies? Usually the mother just wants to reduce her workload perhaps when a new baby comes along, or decides “it is time”. This may be too soon for the child who should have some say in choosing the moment. My younger son decided to stop on the same day as his older brother and has never had a wet night. Night-time nappies give a false sense of comfort as they keep the child snug whereas waking up to a cold, wet bed is unpleasant and so a motivation for the child himself to stop. Lying on a waterproof mattress protector minimizes the laundry. If the child has to further help with the laundry involved, this will also add to the motivation to stop bed-wetting but this should be done as a responsibility rather than as a punishment. Dry nights should be praised, recorded and rewarded to reinforce the positive. If the child is invited into the warm parent’s bed each time, rather than having to help with the immediate laundry change, this could set up a “secondary gain” which will unconsciously encourage the child to keep wetting so be firm. Leave a night light on somewhere so that the child is not scared to walk to the bathroom at night. The child will usually feel too embarrassed to want to do sleepovers. I find a good motivation is to talk about the fun of being a scout and going on weekends away and the summer camp, or on activity weeks. Often their self-esteem is low as no child likes to feel “different” to his peers. Find out who their TV heroes are. One boy told me he likes Mr Bean because he is funny and silly whilst his TV hero is Ben 10. Relating them to bed-wetting, he thought that Mr Bean would have wet the bed as a child (sorry Rowan Atkinson) whilst Ben 10 would not because he is strong and capable. It is now thought a mistake to keep asking the child to empty its bladder as it is important to strengthen the bladder muscle. On the contrary, the child should be encouraged to drink plenty of fluid, not fizzy or unnaturally coloured drinks. Parents are advised not to wake the child when they go to bed to have him urinate. The muscle should be developed to hold water for many hours and release when appropriate. Hypnosis is very effective in helping children overcome bed-wetting. They enjoy the whole fun idea of relaxing and hearing a story. By no means should they be scared or worried by the idea of hypnosis, or in fact even told that hypnosis will be used. Just emphasise hearing a story. There are several approaches. One is the idea of locking up the bladder with a large, strong and colourful key and standing sentry outside it. The sentry sends powerful signals from the bladder to the brain for the child to wake if necessary, or to keep those muscles tightly closed until morning. Another approach is used in this hypnosis MP3 download for bedwetting where the child is taken on an imaginative journey with a spaceship captain inside another child’s body. The use of the third party child is deliberate as we often learn more by looking at someone else than from our own experience. The astronaut does not refer direct to the bladder but rather to holding on to a ball and releasing it when appropriate. I used this with a seven-year old boy who explained to me what it meant as bedwetting is not mentioned. The use of a story or metaphor is typical of Ericksonian Hypnosis. The unconscious mind which accounts for 90-95% of our brain understands creative, child-like ideas which often make little sense to the grown-up, rational conscious mind. Again using the third party, I have used a child’s middle name in hypnosis as the helper to wake him or keep the bladder closed. Whilst some children understand the message in a single hypnosis session, many benefit from repeated listening to the same message which is why this hypnosis MP3 download for bedwetting is so helpful. The cost is probably the same as a week’s worth of laundering wet bedlinen and pyjamas so it must be worth trying. 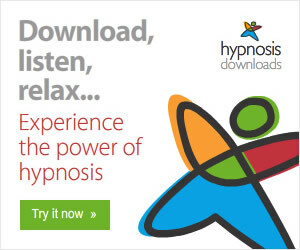 © Antonia Harrison 2011 is the English Hypnotherapist in Belgium and recommends Download Hypnosis Mp3s for immediate access to positive life-changing hypnosis sessions.